We call ourselves Phoenix for a very specific reason. As a family and a program we identify with the Legend of the Phoenix. Ancient legend paints a picture of a magical bird, radiant and strong, which lives for several hundred years before it dies by bursting into flames. It is then reborn from the ashes, to start a new life. The Phoenix symbolizes renewal and transformation or metamorphosis; so powerful is the symbolism and the coaching staff reflects this tale. Phoenix is known for our Elite Coaching Staff. We are all D1 players, past and present, with the highest accolades including All-American, Tewaaraton Nominees, National Champions and Scholarship Awarded Team Members from the most recognized Lacrosse Programs of the Country. Like the Phoenix, our staff has transformed; from player to teacher. They have achieved the best and their time has come to regenerate into phenomenal coaches and their players will continue their lessons and legacy. Through our staff we will to relay our skills and experience onto the new generation, creating even better athletes. When choosing a Travel Lacrosse Program, the most important question a parent and player should ask is : Who will be coaching my son? We are here to tell you our Former Division I players will bring a level of coaching incomparable to any other program in NJ. 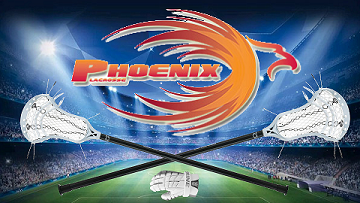 Every Phoenix Team will have a number of current and former Division I players at every practice, every game, and every tournament. 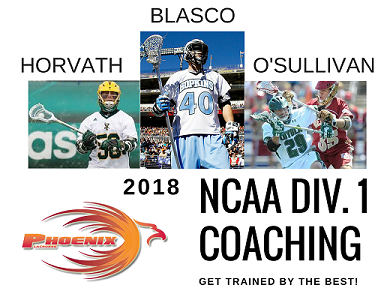 Andrew Blasko of Johns Hopkins (The undisputed, greatest lacrosse program in the world) and Sean O'Sullivan (Loyola National Champion 2012) will oversee 100% of Phoenix Activity including every individual player. They will have an instrumental impact at every level. You have the opportunity to be a part of something special. Our program is fully engaged in the development of our players. Our coaches ability to connect, motivate, and inspire our athletes is unique to only our program. 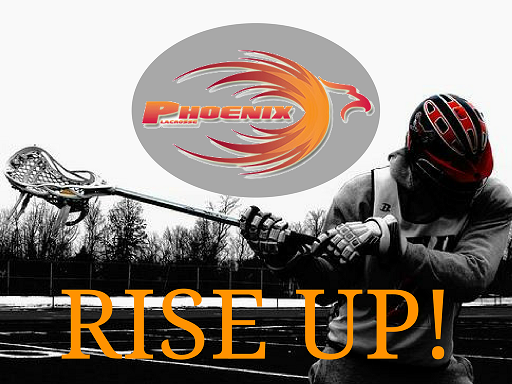 We encourage you to explore Phoenix Lacrosse and share our passion. Phoenix was Undefeated Champions at our Indoor Box Season and won the Liberty Shootout Tournament this past 2016 - 2017 Travel Season.